There are many job opportunities and careers to consider. Some seniors decide to pursue a profession or start a new business, while other prefer to return to their previous employer. For seniors in search for a fresh start, below we will address five tips to keep in mind when considering employment options. Tip #1 Flexibility in Schedule: Ask yourself if you feel more comfortable with a part-time or full-time position. Some companies offer several shifts, which isa great alternative for people who enjoy spending extra time doing extracurricular activities. 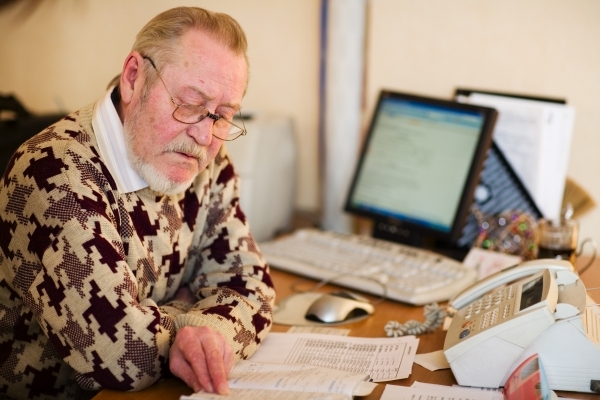 Many seniors returning to the workforce find part-time positions accommodating, while adjusting to new roles in life. Tip #2 Company Benefits for Part-Timers: Established companies often offer job security and benefits even to part-time employees. Corporations like Target, Starbucks, and Whole Foods Market, provide healthcare benefits to their part-timers. This incentive is great for retired individuals looking for extra cash and healthcare benefits, without the need of working full-time. A list of companies offering insurance to part-timers can be found in abcnews.com in their article, 7 Companies Offering Health Care Benefits to Part-Time Workers. Tip #3 Employer Contributions to Education: This is a growing benefit in many companies that promote employee education. The company contributes partial or full tuition expenses. They may require a commitment from the worker agreeing to remain with the company for certain period of time. The requirements vary from company to company. This is a great incentive for those considering a better education, without additional expenses and using the resources offered through your employer. Tip #4 Growth Potentials: It’s no fun operating in a company that doesn’t recognize efforts and expertize. Inquire if growth potentials and employee promotions are available within the company. This allows job seekers to consider any particular company as a right fit for their own personal goals and aspirations. Tip #5 Bonuses & Increases in Wages: Some companies offer holidays or periodic bonuses as a means employee retention. Employee evaluations may be conducted on an annually, semi-annual, or as needed basis. This is a great way for hard working employees to be recognized for their efforts. It’s important to address any bonuses and employee evaluations in the interview process. These five tips is handy resource to have when considering employment. There are many articles available on this subject matter at AARP’s website. I would encourage retiree to use the resources available, and to make the most of your employment opportunities.